We manufacture all our products governed by the rigorous European regulations. 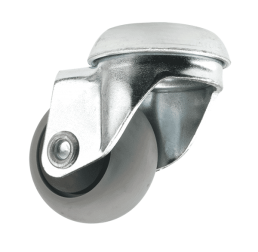 Swedish double ball bearing wheels that allow the basket to slide effortlessly and equipped with a dirt-reducing cap with internal mechanism protector that extends the life of the wheel. It optimizes the space in the store in a hygienic way. The wheels of our baskets do not touch the bottom of the lower basket. 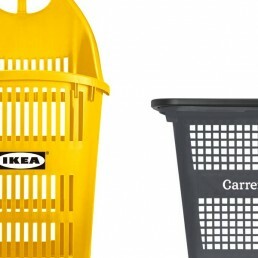 This avoids that the articles move with the movement, maximizes the capacity of the basket and facilitates the cleaning. 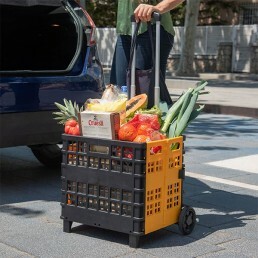 Wheels with double ball bearings for effortless sliding, regardless of the load it contains and handles injected with gas that guarantees perfect mobility. Designed to provide the best user experience. 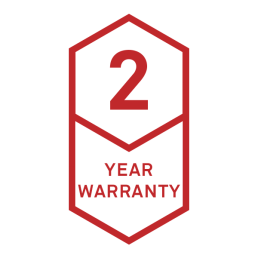 The best raw materials and advanced injection technology allow us to offer a 2 year warranty on all our products. 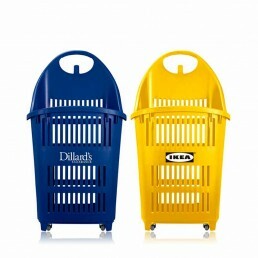 Strengthen the uniqueness of your brand, personalizing your basket or cart with your logo and corporate color. 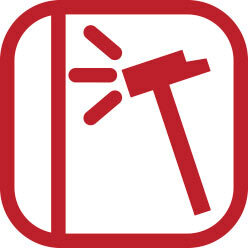 We quickly resolve any inconvenience that may arise. 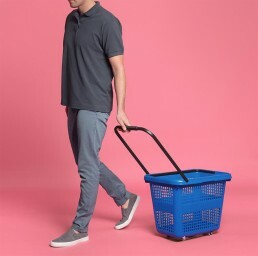 It allows the basket to roll without any effort, regardless of the load it carries. 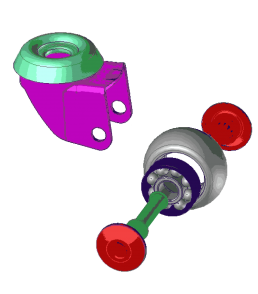 Protects the internal mechanism of the wheel in case of blows. It prevents dirt from entering the wheels and it makes them more durable. 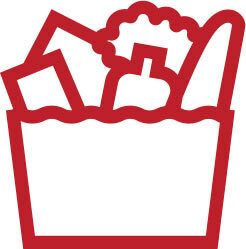 They reduce noise and contribute to a better shopping experience. 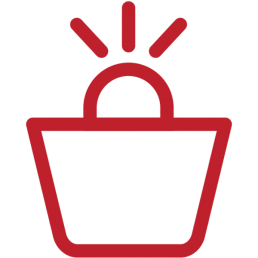 The meticulous process of quality control of Shopping Basket associated with the control of any value chain allows us to offer 2 years of guarantee throughout our product line. 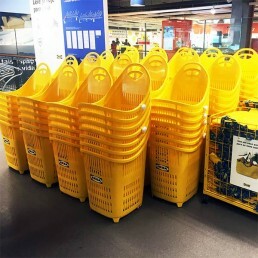 We design and manufacture in Barcelona a wide range of plastic baskets and carts under the quality standards of the European Union. We carefully choose the raw material and we have high technology machinery that allows us to use advanced injection techniques to obtain a product of maximum quality and profitability. 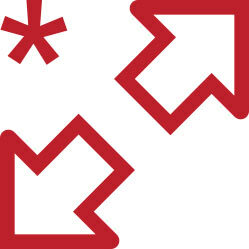 We invest in long-lasting solutions that provide the best user experiences for your clients. 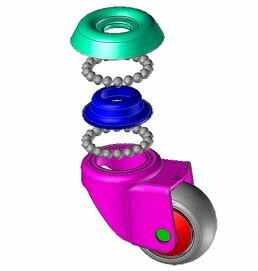 We are pioneers in the use of the best components and in creating avant-garde quality solutions. 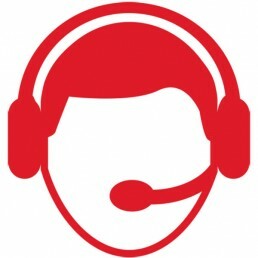 We invest in quality to offer you the best user experience for your customers. 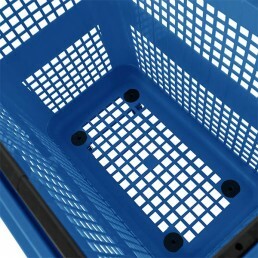 Superbond 91 liters, the largest vertical basket in the market. This innovative model of 91 liters capacity and monobloc structure is already a reference product in our portfolio, adopted by large clients such as IKEA in Europe and the Middle East and Dillard’s in the United States. 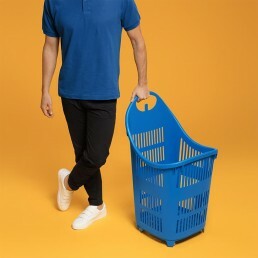 XXL 80 liters, the first large capacity horizontal basket. 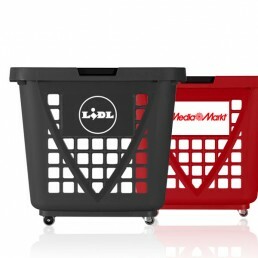 Today it is used in large chains such as Media Markt, Lidl, Casino and Toys’R’Us. We continue working to be at the forefront of innovation. It is in our philosophy and in our way of thinking and working, always looking for the best idea to have the best results for both our clients and yours. 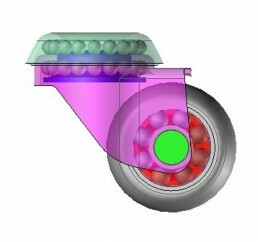 High quality polyurethane wheels that reduce store noise to less than 18 decibels. 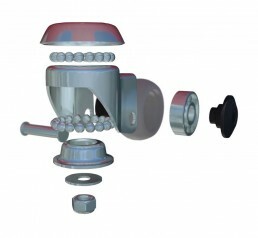 Manufactured with gas injection reducing the possibility of breakage and with anti-fall system. Swedish double ball bearing wheels for an effortless glide, equipped with a dirt-reducing cap and an internal mechanism protector that extends the wheel's life.